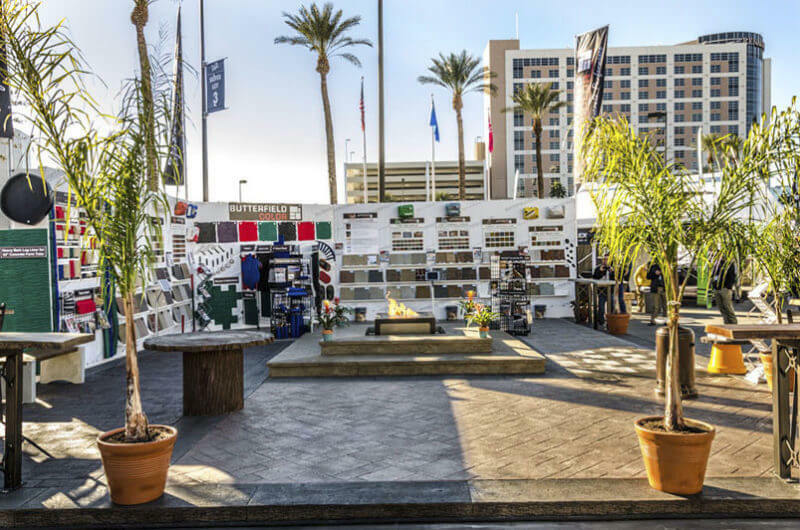 The World of Concrete, known as the largest “international event dedicated to concrete and masonry professionals”, is back for its 44th year Jan. 22-26 at the Las Vegas Convention Center. This year’s show will feature over 55,000 participants and 1,500 exhibitors. In all, the 2018 World of Concrete show will cover an amazing 750,000 square feet of exhibit space, making it consistently one of the top 10 largest conventions in Las Vegas each year. Through the World of Concrete Education program, concrete professionals will have the opportunity to take part in over 170 training and certification, safety, leadership and construction fundamentals courses. Engaged attendees will certainly leave with the core knowledge and latest equipment they need to win more jobs and strengthen and grow their businesses. 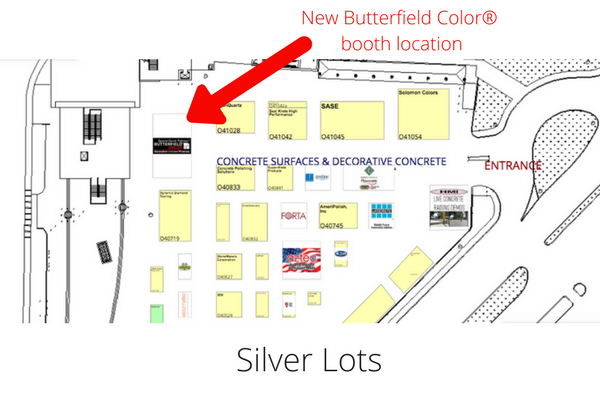 As usual, Butterfield Color® will be exhibiting our full line of decorative concrete products at the 2018 World of Concrete. Our exhibit will open Jan. 23 and will feature several of our latest products used to create large-scale concrete projects on site. In addition to the impressive display crafted by the Butterfield Color® team, featuring colored and stamped concrete, textured concrete walls and risers, and precast concrete countertops and table tops, the booth will feature multiple interactive displays of all of our decorative concrete product lines. The booth will exhibit color and pattern combinations to inspire designers and contractors along with displaying the vast array of possibilities when working with Butterfield Color® decorative concrete products and tools. Our industry expert representatives will be available throughout the show to discuss the techniques used, and answer any other inquiries. We look forward to seeing everyone at this year’s World of Concrete. We appreciate these opportunities to meet with contractors and distributors who are already familiar with our products, and introducing Butterfield Color® to many new concrete professionals. To learn more about the 2018 World of Concrete show, visit the event website. View photos from past Butterfield Color® World of Concrete booths here.